I have been SO happy getting back into a reading routine! Life has settled down enough that I can read on a regular basis, and I've even started a book club at church! 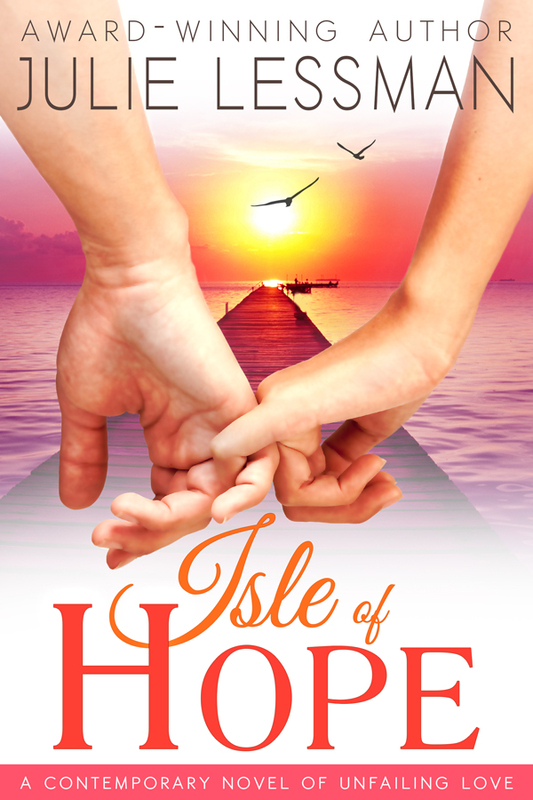 I'm back in with keeping up with my favorite authors, and it seems fitting that Julie Lessman's book Isle of Hope will be coming out next month! To celebrate, Julie has a contest going on. There are two chances to win. You can enter to win your name being used as a character & one of her books! I'm totally entering to win!